Couture pillbox hat in pale blue Duchess silk, with Rouleaux twists. This pillbox sits to the right at a flattering angle, and is secured comfortably with a discrete wire headband and an elastic worn beneath the hair. 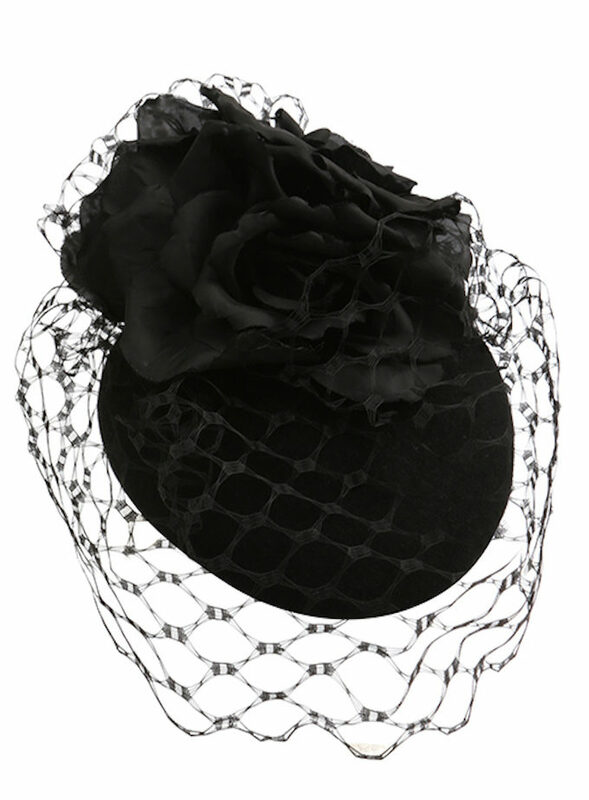 This hat can be Made to Order in any colour and a Bespoke service is offered. 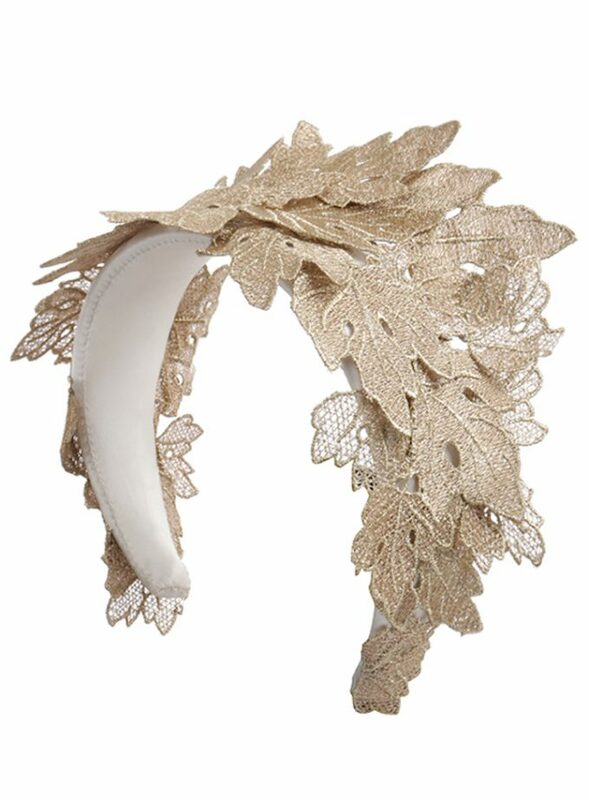 ‘Elche’ is suitable for the dress code of the Royal Enclosure at Royal Ascot. Royal Ascot Hats. Couture pillbox hat in pale blue Duchess silk, with rouleaux loops. This pillbox hats sits to the right at a flattering angle, and is secured comfortably with a discrete wire headband and an elastic worn beneath the hair. This hat can be Made to Order in any colour and a Bespoke service is offered. 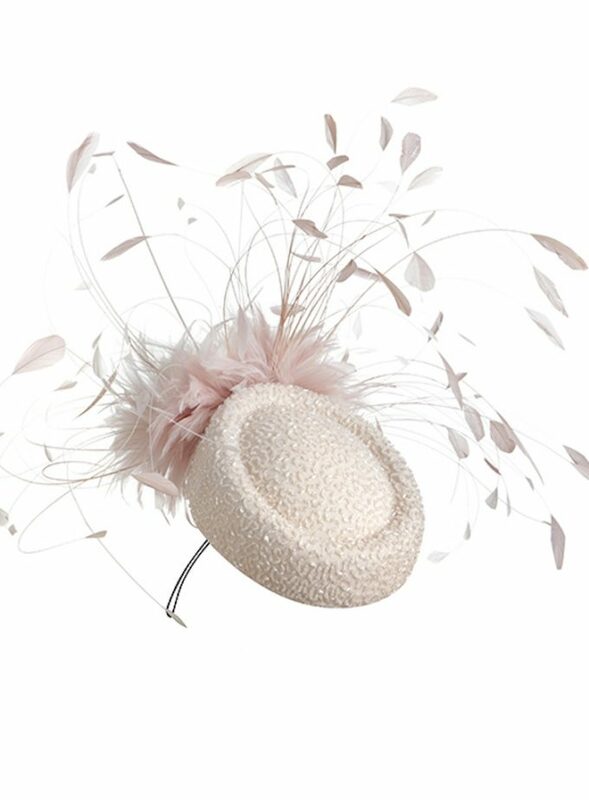 ‘Elche’ is suitable for the dress code of the Royal Enclosure at Royal Ascot. 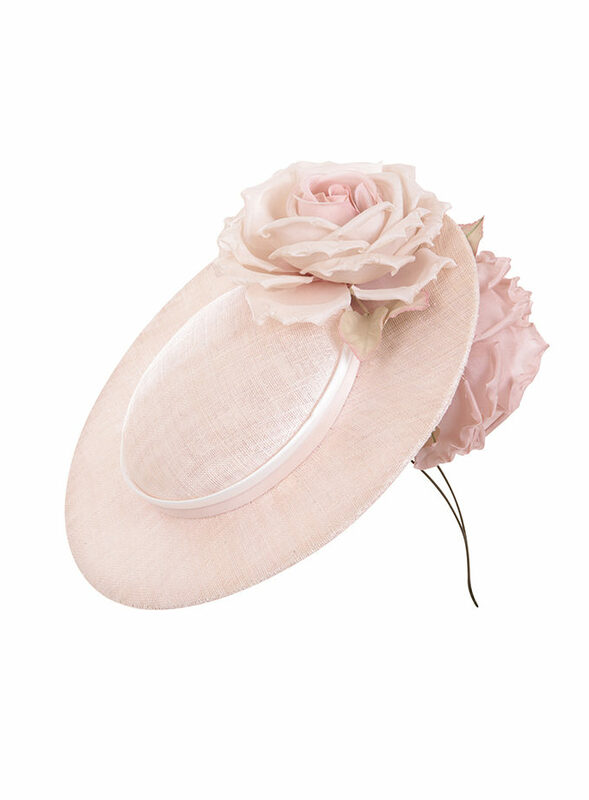 Emily-London ‘Elche’ is the perfect special occasion hat and can be worn as a wedding hat, investiture hat, ladies day hat and for all special occasions. 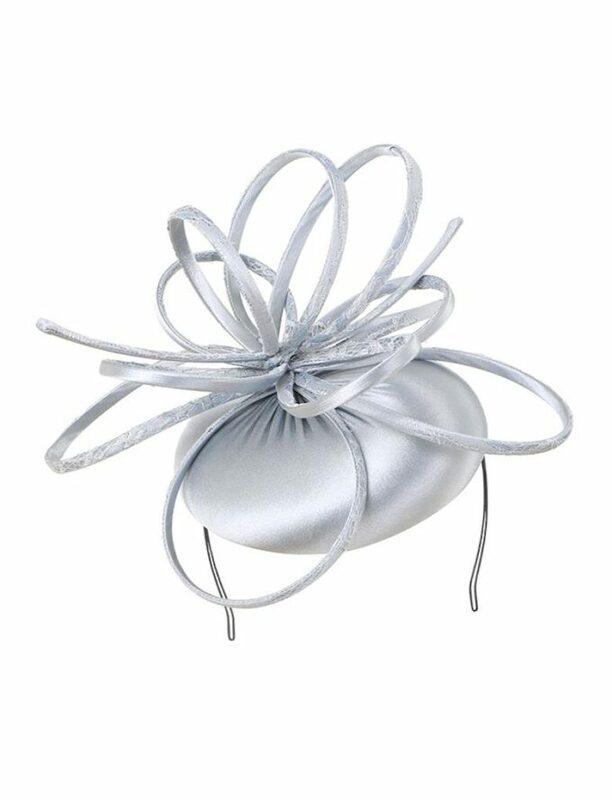 This is a bespoke pillbox hat that can be made in any colour and matched to your outfit. 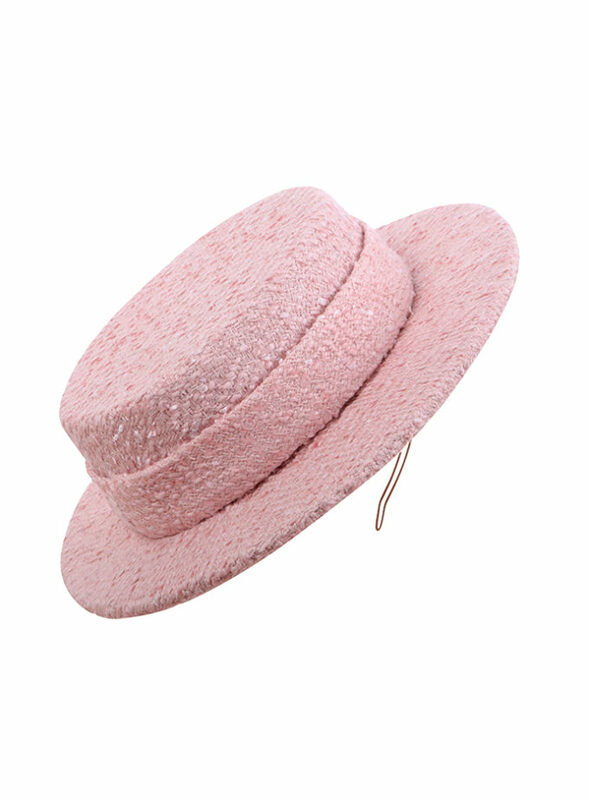 For designer hats London, we have a large selection of pillbox hat shapes including ‘Jackie O’ pillbox hats. Royal Ascot Hats. Couture pillbox hat in pale blue Duchess silk, with rouleaux twists. This pillbox hats sits to the right at a flattering angle, and is secured comfortably with a discrete wire headband and an elastic worn beneath the hair. This hat can be Made to Order in any colour and a Bespoke service is offered. ‘Elche’ is suitable for the dress code of the Royal Enclosure at Royal Ascot.